It’s great that laptops are getting thinner and lighter these days, but this is posing a new challenge in meeting rooms and classrooms: how to conduct presentations with these devices when they don’t come with a VGA or full-sized HDMI port. This trend has led to many projector makers building Wi-Fi support into their products in the last few years. But really, this is actually the easy part - the tougher job is to make the wireless connection between projector and client devices quick and easy. Casio, arguably the strongest proponent of lamp-free and mercury-free projectors, thinks that it has cracked the code with its ES (short for Educational Solutions) features, which are beginning to appear in the company’s latest projectors, such as the 4,000-lumen XJ-S400UN. In a nutshell, Casio’s ES suite is a combination of brand-new features and features that we’ve seen before on Casio’s existing projectors. For the latter, I’m referring to things like auto turning off the projector when no input signal is detected, auto input switching, DICOM simulation, countdown timer, and built-in grid and border templates. The true tentpole features of the ES-enabled projectors are the new One Click Connection and Moderator functions. As the name implies, One Click Connection aims to simplify the wireless setup and input switching process. Before the magic can happen though, the IT admin has to create a One Click Connection file (basically a configuration file with all the settings) for the projector and push it out over the network to client devices (alternatively, store it somewhere for users to download manually). As a PC user, all you need to do is to install a piece of software called C-Connection, get this OCC file if it hasn’t been pushed to you, and click on the icon the file creates. This last action will establish connection between your laptop and projector and start the wireless projection. The Moderator function essentially builds on the One Click Connection to let the person leading the meeting control projected content coming from up to 40 devices. Here’s a use case: during a class presentation, a teacher can choose which student’s laptop screen to display on the big screen. The toggling can be done on a smartphone or tablet, which means the teacher is free to walk around and interact with the class. Up to four PC screens can be projected at once, which is useful when different teams need to show their work at the same time. Now, let’s backtrack and talk a bit more about the XJ-S400UN, which is one of the four models in Casio’s new XJ-S400 “Superior Series”, the others being the XJ-S400WN, XJ-S400U, and XJ-S400W. There are a few key differences between the four. For one, the XJ-S400UN and XJ-S400U have a native WUXGA resolution (1,920 x 1,200) while the XJ-S400WN and XJ-S400W feature a native WXGA resolution (1,280 x 800). The XJ-S400UN and XJ-S400WN also support monitor out, come with two USB 2.0 Type-A ports, and feature wired and wireless LAN support. That last bit is required for the One Click Connection and Moderator features, which means you won’t find these two features on the non-network-capable XJ-S400U and XJ-S400W. Otherwise, the four projectors share very similar specs, including a maximum 4,000-lumen brightness, a single-chip DLP engine, a 1.7x manual zoom lens, two regular HDMI ports, and a built-in 16W monaural speaker. They also use Casio's R-Hybrid laser + LED light source system, which the company says now offers improved red and blue colors reproduction. Coupled with the high brightness, you can expect more vibrant colors from these DLP projectors. This hybrid light source has a lifespan of up to 20,000 hours. Also, from a running cost point of view, since these are lamp- and filter-free projectors built with a dust-resistant structure, they are, in theory, very easy and cheap to maintain. 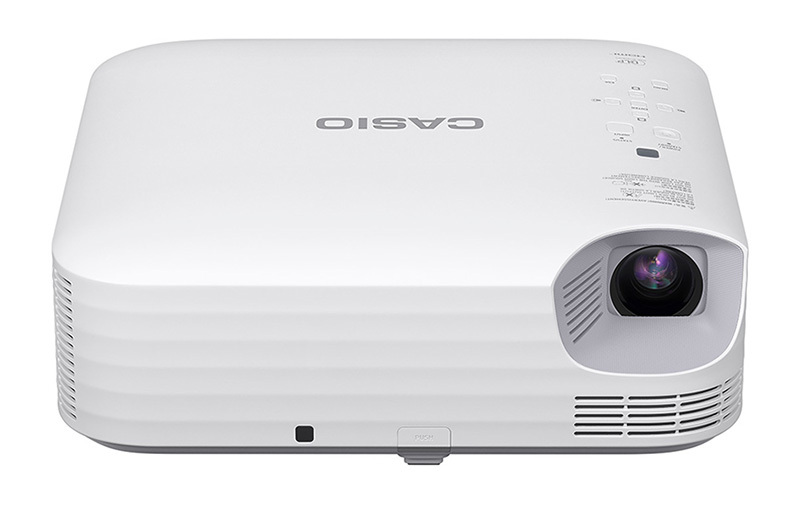 Casio’s XJ-S400 series of projectors are expected to arrive in stores in June. 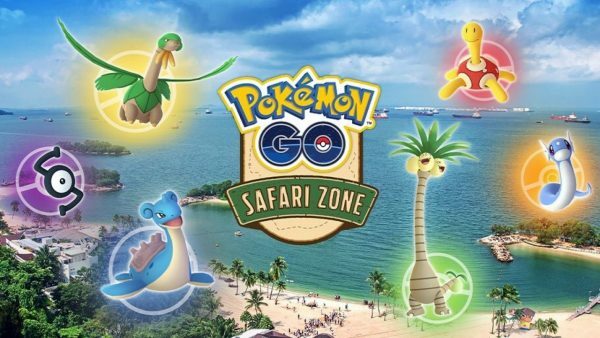 Exact pricing hasn’t been decided yet, but I’m told they would fall in the S$2,899 - S$3,799 range. For those interested, you can learn more about Casio's Educational Solutions here.